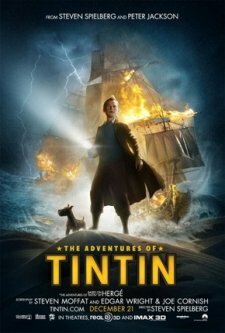 What movie starts off a bit slow and gentle, has the audience on the edge of their seats in the middle, and touches their heart in the end? What movie shows perfectly placed foreshadowing, beautiful acting, and courage shining ever so brilliantly on the screen? Let me enlighten you: A movie directed by Steven Spielberg. 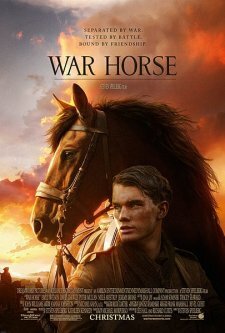 Based on a children’s novel by Michael Morpurgo, War Horse is a historical film set in the time of World War I. A boy named Albert raises a foal he named Joey, and they form a heart-felt friendship. Through a series of unfortunate circumstances, Joey is sold to the army, falling into different hands on both sides of the war. Both horse and boy are tried by the vengeance ofwarfare, moved by compassion, and set on an extraordinary journey of faith, courage, hope, and survival. Joey ends up in the no man’s land, touching both the French and British soldiers’ hearts. As expected, Spielberg does his usual remarkable job on directing War Horse, but what I really love is that he actually shows, not tells, if I may. The scenery was amazing and the shots were beautiful, but moreover, everything in War Horse is significant. Underneath, there is a much deeper meaning, and every character seen through Joey’s eyes is so well-rounded and the audience actually comes to care about the fates of these people. War Horse is rated PG-13 for intense battle scenes, but even though it shows the rawboned gritand despair of the soldiers, it isn’t gory. Courage was the primary theme of War Horse. I was touched by the characters’ bravery, from the soldiers on both sides to the man and his granddaughter. Newcomer Jeremy Irvine was brilliant as Albert, and, of course, the rest of the cast was outstanding. I think War Horse is an action packed movie. It shows the reality of war without being violent. There are stunning visuals in this film. I liked silhouette of the horse against the sunset at the end of the movie. It was so breathtaking and amazing. It is very slow in the beginning. I was really bored with the stillness of the scenes. I even left the seat and went out to buy popcorn. But once the war started, I was at the edge of my seat full of excitement. There is a lot of shooting in this movie but there is no blood. However, the different accents such as British and German made it hard for me to understand the dialog. If this was supposed to be a tear-jerker, it didn’t work. Even though I didn’t shed a single tear, I was moved by the courage amidst the grimness of the battlefield in which Joey, the war horse helped another injured black horse by offering its strength to pull up a huge tank. This movie shouldn’t be watched by little kids because they wouldn’t understand it. I think that only 10+ can watch War Horse. I rate this 4 stars and a Pick It!